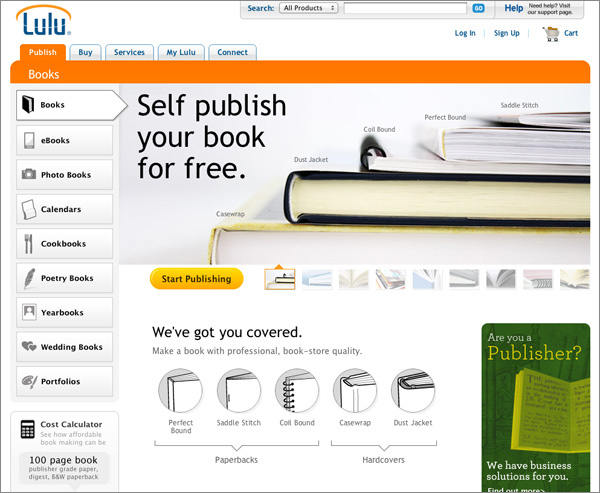 If you are ever considering publishing a book, you should check out Lulu.com. I haven’t used it myself, but have a friend that has used it, and have heard good things. Plus, any company that cares this much about design must be doing something right, right? I agree, their website is beautiful. I’ve considered printing one of my e-books before but never really gotten around to it. Maybe now I will.